Shawn grew up in Kelowna and came from a real estate family. His mom Olivia was an icon in the Real Estate Industry. She not only set the standard for excellence in Real Estate, but also paved the way for women in business in Kelowna—a rarity in the 1960’s! She was the #1 Realtor in the whole Okanagan Valley for a mind boggling 22 years. She was known for her quick mind, her compassionate heart, her strong negotiating skills, and her incomparable big style! You knew when Olivia walked into a room, and even better, Olivia knew you. Shawn was brought up in a unique home not unfamiliar with hard work and walking through challenges. His mom and dad moved to the Okanagan in the late 1950’s from the Leduc oil fields to start a new life when they found that their daughter Karen, diagnosed at 3 years of age, had a rare genetic metabolic disorder called Phenylketonuria, which was relatively unknown in the 1950’s, and caused severe mental disability. With Karen needing full-time care, and with institutionalization an undesirable option, Shawn’s parents made the choice to switch places, allowing his mom Olivia to enter the real estate field and his dad to stay at home to take care of Karen. His dad continued his work with gulf oil, and created a mortgage company. Growing up in a home with ongoing challenges with his sister resulted in character and empathy. Because of this, Shawn’s family had genuine empathy for other people’s journey and unique situations. Shawn was brought up with many passions. His mom and dad championed him to be the best he could be with what God had given him. Shawn excelled scholastically. He is an accomplished musician achieving Grade 9 Toronto Conservatory by the time he was in Grade 7, then moved to drums where he played stage and jazz band all through high school, then at church, conferences, and recording with local artists. Sports were a big deal growing up, enjoying motorbiking, fishing, scuba diving, soccer, skateboarding, extensive snow skiing. Shawn’s true skill became apparent when he ventured into water sports, especially competitive sailing. Shawn raced intensively from age 14 to 20, placing regionally and nationally with a 3rd place finish in Canada in Hobie 18’ Catamaran racing. Instead of going to the world championships, he finished his Honours degree in Physiology with a view to attend med school. Shawn began working with his mom during summers while he went to University and continued to race. Although he was wanting to pursue med school after achieving his BSc Honours degree, his mom coaxed him back to work in the family business of real estate. Shawn took the opportunity to be mentored by his mom in the business, working on everything from carpenter’s specials, to luxury king-of-the-hill estates, from new homes to heritage homes, from condos to full apartment blocks, from farms to commercial buildings, from gas stations to restaurants to hotels—they did it all! It was there that Shawn really fell in love with the business, and got to know what made his mom tick. It was hard work, long days, but even more it was how she could apply her gifts and talents to bring success and hope to others. In 1990, his mom was the guest speaker at the annual CREA convention, and on her way, she suffered a massive debilitating stroke and Shawn was thrust into managing the family business. He had to earn his own way, as over the next year, the number of listings they had went from 130 to 6. People knew Olivia, but who was this “wet behind the ear” young buck? This was a humbling experience, but Shawn was taught by the best, knew the business inside and out, and was determined and focused to build a business of his own. Shawn worked his way back and within three years he was back in the top three in the office of Hoover Realty. In the meantime Shawn married the love of his life, had 4 amazing kids (within 6 years), and got to learn from his wife how to balance babies and business, a career and a home. Shawn and Reece got married in 1988 and within a couple of years started a family having 4 kids within a 6 year period . . . wow! Family is everything to them, and they cherish all the years of growing together; fun, games, camping and motorhoming, sports, skateboard competitions, snowboarding, coaching soccer, going to more dance competitions and festivals than you can imagine, and just enjoying life. While being in ministry was not affluent monetarily, it was rich in life experiences and having fun together. Josh, their oldest, is now a certified professional accountant at Grant Thornton, and is married to amazing Amy and now they have their first daughter. Their daughter Janessa is married to Kai and lives in Vancouver as a semi-professional hip-hop dancer and a crew that placed 1st in LA’s World of Dance competition. Their daughter Jazzy is a RN working at pediatrics at KGH and leading mission groups through YWAM. 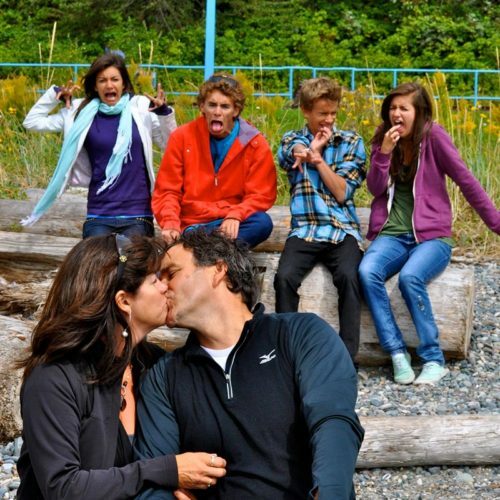 Their youngest son Jordy is engaged to be married and taking human kinetics at UBCO. Shawn and Reece are super proud parents of awesome kids—they love working with families! While Shawn worked in real estate, he and Reece also served faithfully in their local church. 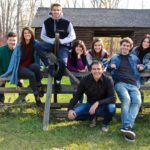 After 10 years in real estate, Shawn and his family were asked if they would consider coming on staff at their local church. Honouring Jesus was the primary focus in their lives, and they decided they would trust God and go for it. They worked full-time in their church community for 10 years with families, children, and teens, and in the last few years led and directed a youth conference called Avalanche, seeing 1000-1200 youth attend yearly for inspiration. In 2005, Shawn came back into the real estate business, this time with his wife Reece. Shawn’s previous real estate office had merged with Royal LePage. Digging deep, and pulling from a resident spirit of excellence, determination, and building, it only took a couple of years to climb back up to the top of the industry. Their passion for helping people continued. Their work together as a couple provides a unique combination of perspectives and talents. 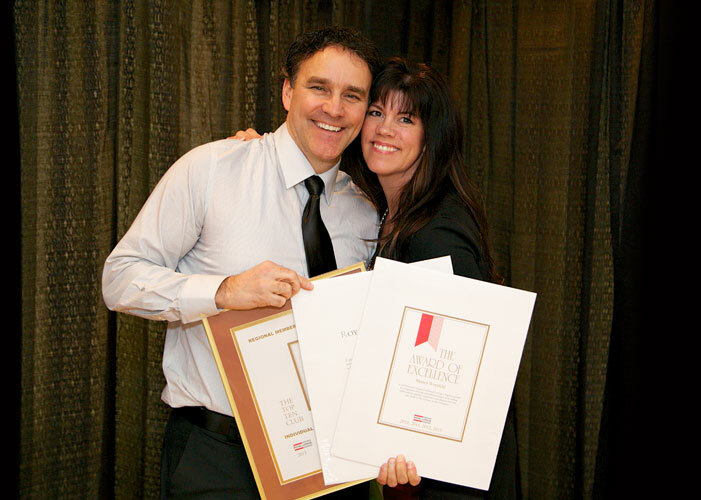 Shawn and Reece’s performance has put him in the Top 3 of Royal LePage Kelowna 200+ Realtor Force for the last 12 years, and ranking them in the BC Royal LePage’s Top 10 in 2009, 2013, 2014, and 2016. Their love of people combined with their desire to provide 5 Star excellence and service in the real estate service industry has built a loyal growing group of clients who are confident that their needs, and the needs of their families, friends and those they refer, will be met. Real estate is in Shawn’s blood! Having lived here for almost all of his 53 years, Shawn carries an intimate knowledge of the Kelowna Area and market. From then until now, the standard of excellence remains the same!